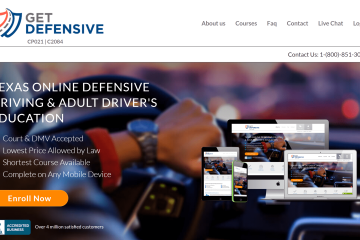 If you’re out there trying to get a speeding ticket dismissed, get some discounts on your insurance, or just to get your driver’s license, look no further than this course! 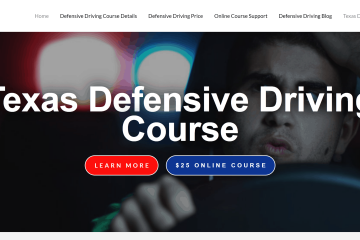 Not only is I Drive Safely a breeze to get through the defensive driving course, it leaves you with a lasting knowledge and education about safe driving. 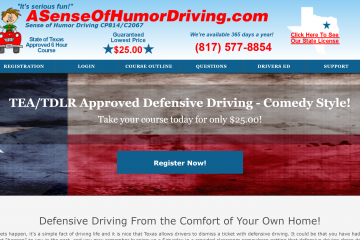 I would highly recommend this course to anyone who enjoys learning, likes to have a few laughs, or anyone that wants to actually learn to drive safer. This Oakland, California based company has a lot to offer, and I cannot stress my recommendation enough. 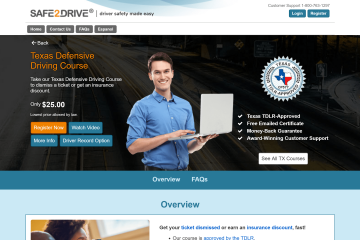 Even though I took this course intending to get a ticket dismissed, I also noticed that they have a variety of courses available, such as the course I took (Texas defensive driving), Drivers Ed, practice tests for a permit or CDL, and I even noticed they offer behind the wheel training in California, Texas, or Georgia; pretty cool! I originally chose to go with I Drive Safely because of the glowing customer reviews that I found online. Once I visited the website, I was immediately impressed with the clear layout and the simplicity of the information. It’s just a beautiful website! I’m also quite obsessed with simplicity, so there’s that. I was also very happy to see that this course, unlike some others that I’ve tried and researched, was the lowest fee allowed by law, which is 25 dollars. One of the very first things that I do before I purchase any type of course like this (or anything in life for that matter!) is check on the accreditation. I was delighted to see that, not only was this course not trying to rob my bank account, it also was fully approved and accredited by Texas. Sometimes, courses won’t actually be approved but they say they will, so you have to watch out for those. This course, however, works one hundred percent! This course was also great in the sense that they are really good at trimming the fat, so to speak. They don’t include any unnecessary information in the course that might bog you down. It’s straight to the point, and the course is also the minimum length allowed by the state of Texas, so no extra fat. Think of it as a super lean option! 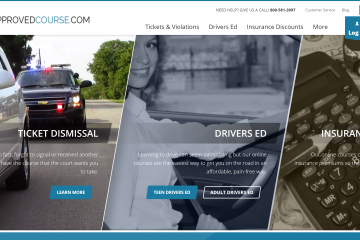 I first visited I Drive Safely to get a speeding ticket dismissed. 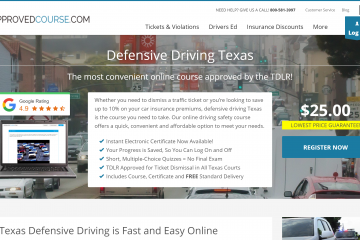 I was told that I could either have it dismissed or have the fines reduced by completed an approved defensive driving course. I visited their website, then chose Texas as my state. Once I read up on some basic information on their page, I was ready to get going, so I registered, which was extremely easy since you only have to insert your basic information to get started; no extra long registration there! Once I put in my basic information, I was given an option to take the course either by reading it like a textbook online, listening to it sort of like an audiobook, or doing a video course. I chose to go the video course route, since that is how I tend to learn best. Next time, I might opt for the text only course since they say that it reads sort of like an interactive book with text and pictures. As far as the video content goes, it was awesome! It was filled with a lot of helpful content. I went into the course thinking that there maybe isn’t a lot that I could learn about driving safely, but I was totally wrong! I learned a lot of things that I didn’t even think about, such as why I should keep a safe distance, why speed limits are important, and how to anticipate other driver’s decisions. I feel like a road pro now! I also added a copy of my driving record which was very helpful because the court where I was getting the ticket dismissed required that I also provide a copy of my driving record. 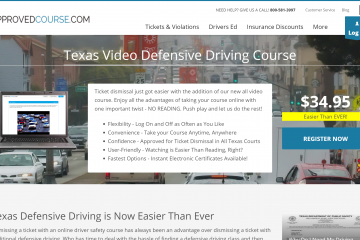 Instead of having to go directly through the state of Texas’ website, I Drive Safely did it for me, and that took a huge burden off me since I don’t like doing those kinds of things. Since I took the course and ordered my driving record at the same time, they offered me a discount, so I was able to get both items (course + driving record) for about forty-five dollars. I’m all about saving money, so this course really worked out for me in that respect, since it would be more expensive to order the certificate from somewhere else. My favorite part about the course was the fact that there is no final exam. Yep, that’s right. Absolutely no final exam. If you’re anything like me, then you hate taking tests, which made this course even better for me. I’m sure other courses offer this as well (I’m guessing), but this course had some really great content that made the information that I was learning really stick with me, so I didn’t feel the need for a final exam since I felt that the quizzes at the end of each section were sufficient. Not only did I get the answers to my questions, but I got the answers fast! These are very competent employees, and this is a great business in my opinion. Possibly the most helpful thing out of all of this was the sweet discount that I got on my car insurance when it was all said and done. I was also afraid that I was going to have to make a copy of my certificate upon completion, but it actually came with an extra copy for my insurance, which was super helpful! I give this course and company a solid 5 out of 5 stars for being so ready to help me, and for having such helpful content for helping me learn, and isn’t that what this is all about anyways? I learned to be a safer driver, got my ticket dismissed, and now my insurance costs me less per month. I also found myself spending quite a bit of time digging into their free resources available for DMV information and other driving resources. 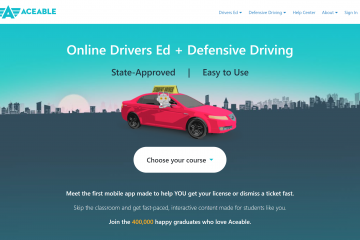 Nationwide provider with nearly 100 driving course approved. Some of their courses need to be updated.